Dinner Lab, a membership-based dining event company that currently operates in 30 cities across the country, will soon be launching in Indianapolis. Beginning March 24, memberships will be available for $120, which then allow members a chance to buy up to four tickets to upcoming pop-up dinners. The first Indianapolis dinner is scheduled for July 17. After that, said Dinner Lab communications director Edie Feinstein, members can expect about one dinner a month. Tickets for each five-course dinner are about $60 per person, she said, which includes tax, tip and drinks, although members are not guaranteed a ticket. When a dinner is scheduled, members receive an email advising them of the date and a time that tickets will go on sale. “Some events sell out within minutes in some of our cities,” Feinstein said, adding that additional dates could be added when events sell out. Dinner Lab events are typically held in unusual locations, she said, rather than in a restaurant setting. A mobile kitchen allows the use of non-traditional outdoor spaces – think rooftop parking garage. Those cooking at a Dinner Lab meal are not usually executive chefs, but rather the No. 2, 3 or 4 in a restaurant kitchen. But they better be ready to get feedback on what they prepare. 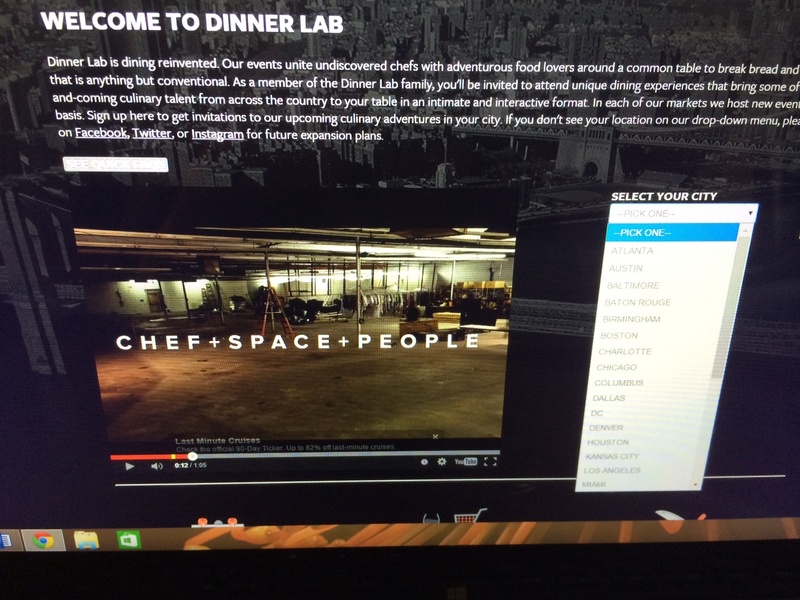 Part of the Dinner Lab model is that diners critique the dinner and offer feedback. Kitchens are typically set up in the middle of an event, and chefs are encouraged to talk with patrons and to listen to their ideas and comments about the meal. “It’s like a foodie focus group,” Feinstein said. About half of the local dinners will be prepared by Indianapolis cooks. The rest will feature chefs from other locations where Dinner Lab operates, cities such as New York, Chicago, New Orleans, San Francisco and Seattle. In fact, the first Indianapolis dinner will be prepared by Seattle chef Danny Stoller, Feinstein said, with the second Dinner Lab event featuring a local chef. 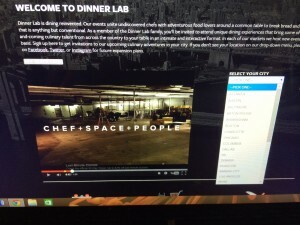 Chefs can sign up via the Dinner Lab website. Some will have the chance to test their menus in other cities as well, and that’s part of the Dinner Lab model. Locally, Dinner Lab employs a front-of-the-house manager who handles the logistics of arranging the events. The company also hires a local back-of-the-house manager, a chef who takes care of sourcing ingredients and hiring part-time prep cooks to help prepare the dinners. The chefs who create the meals are also paid for their time, Feinstein said. R.J. Wall, co-founder with local chef Andrew Whitmoyer of Chefs’ Night Off, which has put on pop-up dinners locally for the past year, said he isn’t worried about competition from Dinner Lab events. “It sounds like a Walmart vs a local hardware store,” he said. Wall said he has been focused as much as possible on using local ingredients, and proceeds from some dinners have benefited Project Endure, a student mentoring program. Chefs’ Night Off is also helping cover costs for some local chefs to cook at the James Beard House in New York City in August. But he wonders about the for-profit focus.